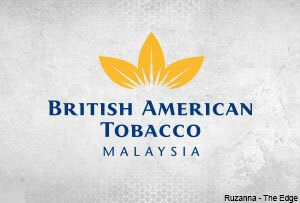 KUALA LUMPUR: British American Tobacco Malaysia Bhd (BAT Malaysia) has announced that the prices of all its cigarettes will revert back to their last pricing before Sept 8, effective today. Its Managing Director Stefano Clini said the move was for the tobacco player to remain “competitive”. "Our last price increase (by RM1 per pack of 20s) was to alleviate mounting inflationary cost pressure amplified by progressive loss of legal domestic volumes over the years to illegal trade, decline in contract manufacturing volume, and an overall very competitive trade and distribution channels,” he said in a statement today. “However, in order to remain competitive, we have decided to revert to our prices before Sept 8,” he added. With the revised cigarette prices, the Dunhill range is now priced at RM12, KENT at RM12, Benson & Hedges at RM12, Peter Stuyvesant at RM10.50, Pall Mall at RM10.50.